Your kids will love to get their hands on these creative play dough activities. Each one is inspired by a favorite children’s book. My house flooded in Hurricane Harvey. In the storm’s aftermath, help descended on us in so many amazing ways. First, a group of teachers, complete strangers, helped muck out the house on the first day after the water receded. Another day, a good friend’s husband entertained all 3 of my kids while we carted pieces of wet drywall to a giant debris pile in front of the house. One exhausting day an acquaintance dropped off a hearty meal complete with chocolate cake for dessert. Several friends took away damp items and returned them freshly laundered. And the list goes on. I’ve been writing down names, more than 20 of them so far. I had to fight back tears when I found out that two of my blogging friends also decided to pitch in. 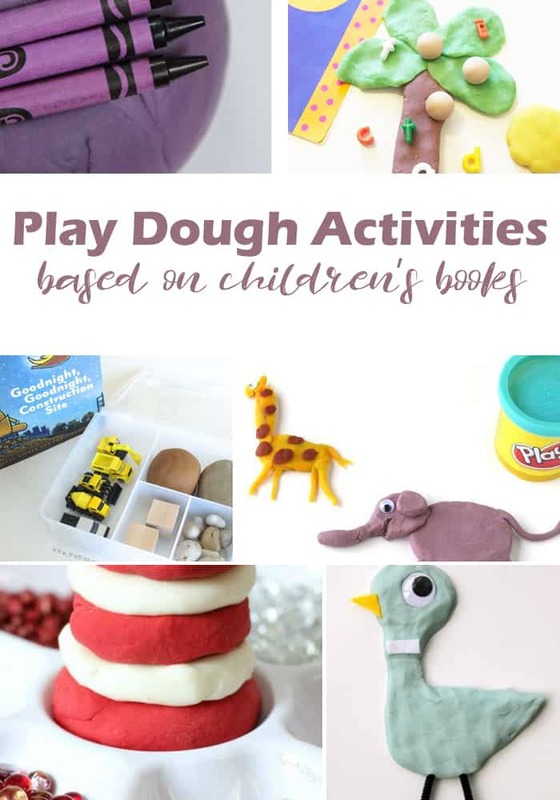 Heather from Preschool Toolkit wrote this adorable felt board activity guest post, and Deanna from Play Dough and Popsicles sent over this fun roundup of book-inspired play dough activities. Play dough is an essential in our home. Ever since my daughter was old enough, we’ve been playing with play dough. Play dough is excellent for strengthening muscles in the hands and fingers as well as a fantastic sensory experience. It doesn’t have to stop there, though. Kids can manipulate it into so many shapes, sizes, and forms that it becomes a great activity for exploring the alphabet and for extending the story of any children’s book. These engaging activities help kids comprehend the story, build upon experiences, deepen their knowledge, and explore the stories more fully. 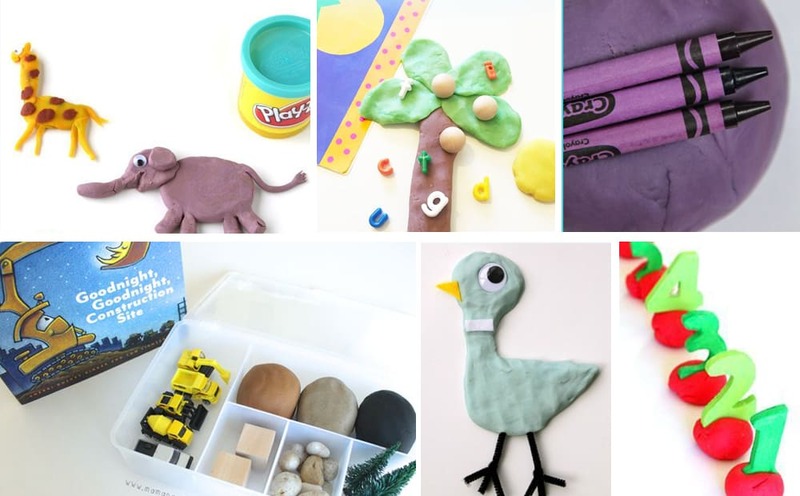 These are our favorite 20+ Play Dough Activities Based On Children’s Books. Not only are these play dough extension activities beneficial but they are fun! Kids will enjoy working with play dough in a way that encourages their creativity and with a purpose.